Popular standard roughtop belt that can be used as pulley lagging. 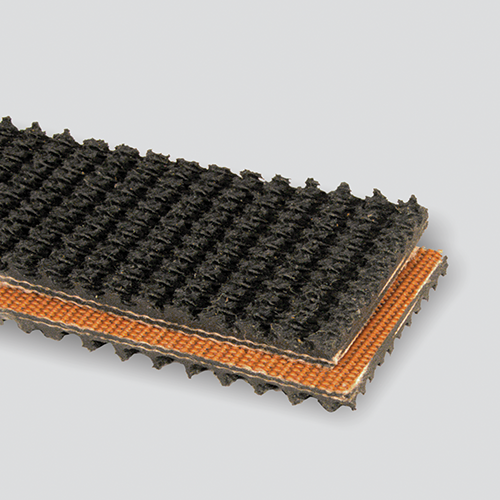 Features a deep, nonskid hemp impression roughtop surface that enables products to be conveyed on inclines and declines. Popular for strip lagging pulleys. Thickness / Overall Gauge: 0.281"